The air is full of busy buzzing bees! Yesterday morning was overcast and drizzly, but the bees were still thronging back and forth from the hive entrances. This morning, in the sunshine, the airspace is even more crowded - it's almost like summer again. I wonder what they are foraging on? I have not noticed much in flower at the moment. I hope they have not found beehives in another apiary to steal honey from. 7th October. Copper Hive bees in the blustery drizzle. 8th October. Copper Hive bees in the autumn sunshine. New queens announce their arrival. 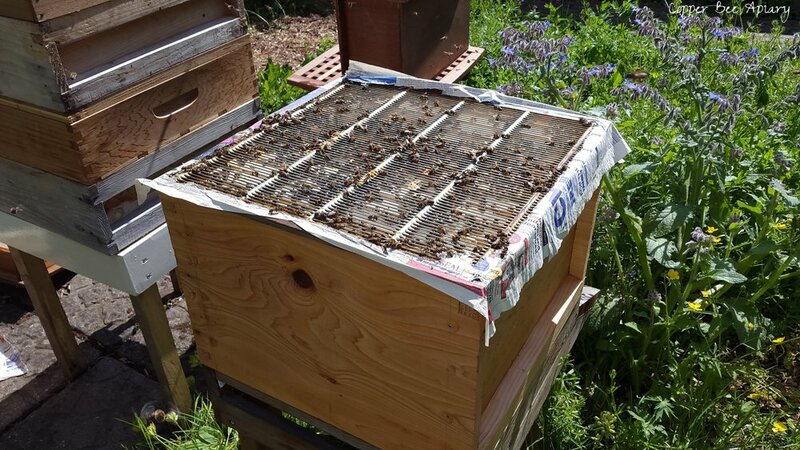 In which I look for the queen, find the queen, and build my tallest beehive.